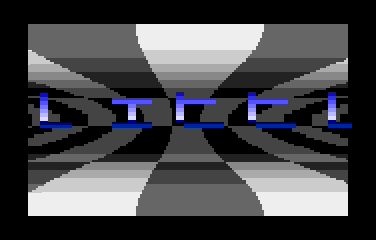 cool stuff... ok... rasters of the scroller look a little bit like Atari ST :P but I love it and the music of 505 is again outstanding! Well done. Really groovy stuff. Love the music! Another excellent SqoQuo Prod for the Atari 800! Single chessboarder screen doing various stuff, but nice for size. indeed, also music fits perfectly..
SquoQuo bring some really tasty design for Atari 800, and rocking code to boot. Plus, 505 awesomeness! maybe one of 505's nicest tracks. i'm a sucker for chessboards, even if they're easy. Well, lovely intro, cool chessboards, but a bit too long maybe? Competition at SV2k12 was quite strong :) I cross my fingers for another cool prods from You in 2013! Interesting music and nice little effect. intro and main effect were entertaining. 505 with a great job again! very very nice design ! outstanding tune ! Also I loved the music. I like the snakke text effect and the transition between the text/graphics part. Pitty the scroller font is a bit hard to read. rulez added on the 2013-01-03 11:01:24 by JAC! page created in 0.014597 seconds with 15 queries.